If you’re thinking about a bathroom remodel, consider sticking to the mid-range. They cost about $19,134 on average and return $13,422, or about 70 percent of your investment. Adding a bathroom on to a house was a big return bust in 2018. Not only did the upscale bathroom addition return just 54.6%, even the mid-range bathroom add-on, where returns tend to be a bit better, returned just under 60%. That mid-range bathroom remodel is looking better all the time. Despite the fact that a mid-range minor kitchen remodel will return about 81 percent of its value, an upscale major remodel doesn’t even come close. This is probably because of budget-consuming components like new cabinets, new granite or marble slab counters, floor tile and high end appliances from manufacturers like Viking. Honestly, if you’ve done this kind of remodel, why are you even moving? Seems you’ve found your perfect house already. 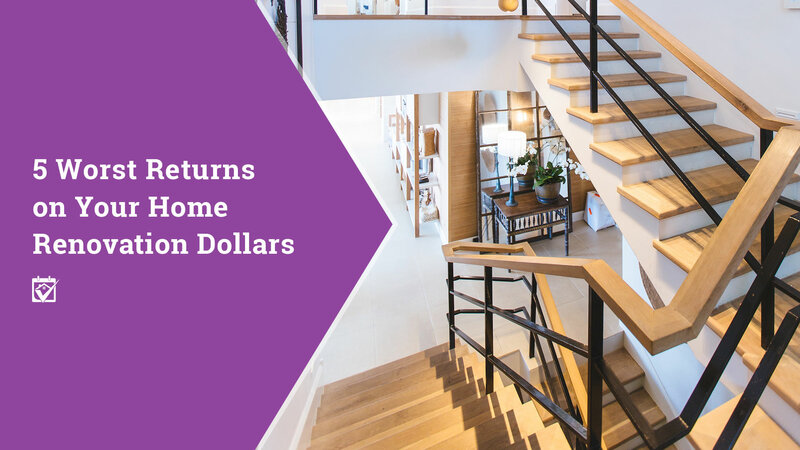 Downgrading to a mid-range master suite addition won’t help you get much more out of your dollar, it only changes the return from 48.3% to 56.6%. A new master suite is one of those things that you may find you use extensively, but shelling out hundreds of thousands of dollars for one may be a sign you’re not ready to give up on your existing home after all. Generally speaking, outdoor-facing projects tend to return better because they increase the overall curb appeal of a home. And even though mid-range wooden deck additions return 82.8% and mid-range composite deck additions return 63.6%, the backyard patio is the single worst return on your home renovation dollars in 2018. This may be due, in part, to the fact that it adds nothing to curb appeal and is almost assumed to be the norm in most markets.